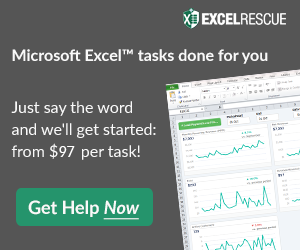 Is it Possible to make this Excel Column Chart? Now I promised that there would be a harder and more challenging Part 2. And low and behold, here it is! So this question has been asked many different ways, but I can’t find a workable solution. 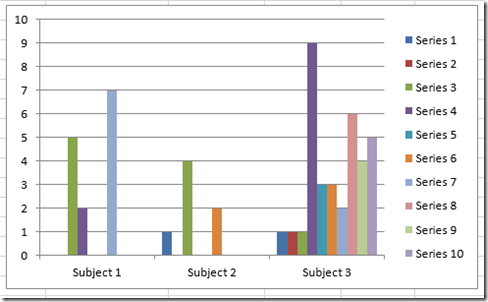 I have a clustered column chart that has, for example, 3 categories and 10 series. The third category has a value for each series, while the other two only have values in some of the series. 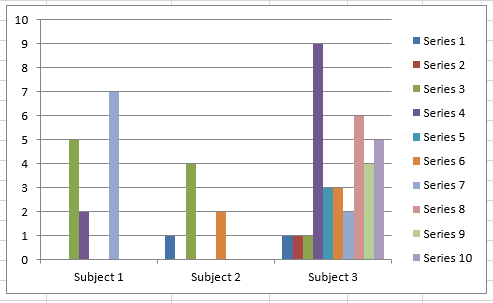 The resulting graph leaves gaps/spaces for those series that don’t have values. Is there a way to resolve this to where those gaps/spaces are not there? 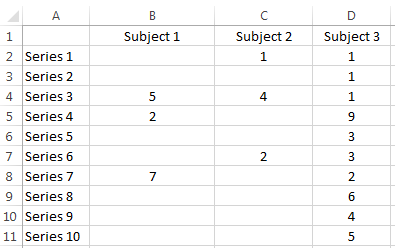 I’ve tried populating the 0 value cells with =NA(), but that just removes the data labels. Can you figure it out? If so, please add a comment below with your email address so that I can contact you. Then you can send me your solutions. Good luck!!! !